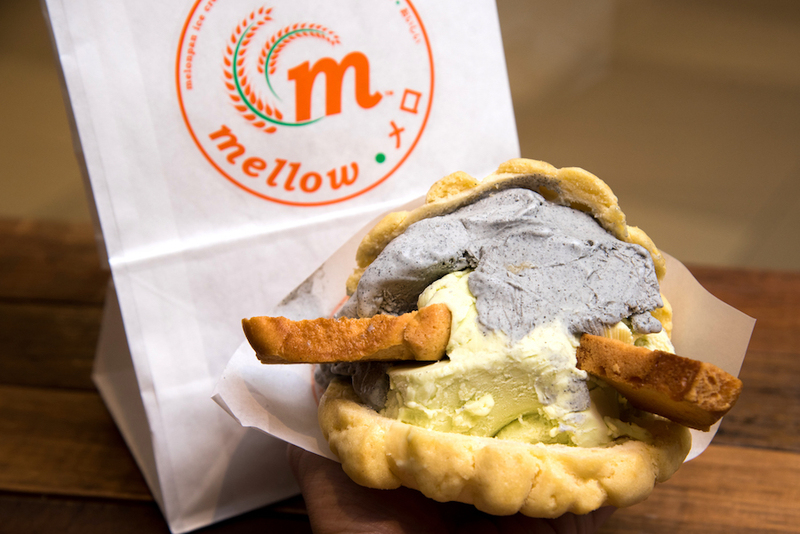 The melonpan with ice cream, a Japanese sweet bun, reminded me of our popular local street food: Ice Cream Sandwich. 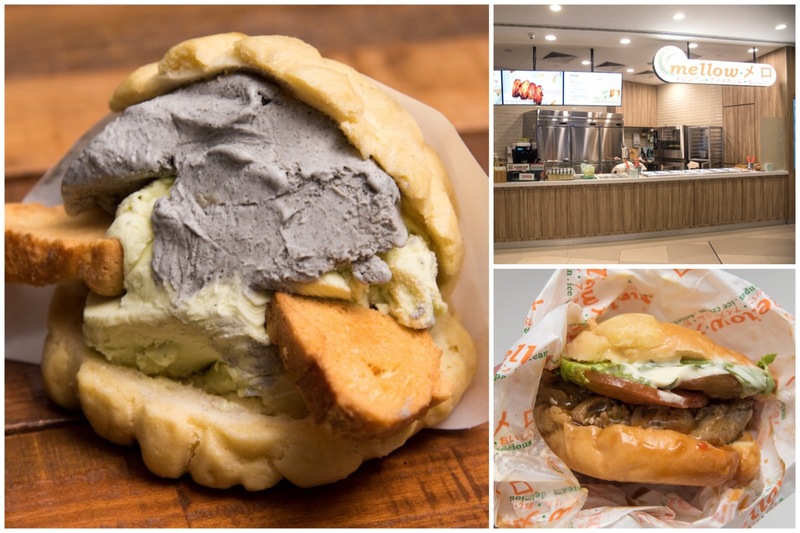 The $1 Ice Cream Sandwich sold along the streets in pushcarts had always been one of Singapore’s Must-Eat items, so popular that it made into one of BuzzFeed’s listicles in 2016, which (unfortunately) went viral for the wrong reason. 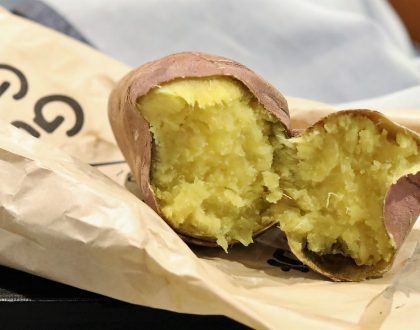 The Japanese melonpan (also known as melon bun) was named due to its outward appearance which resembled that of a rock melon, but in fact doesn’t taste like one traditionally. 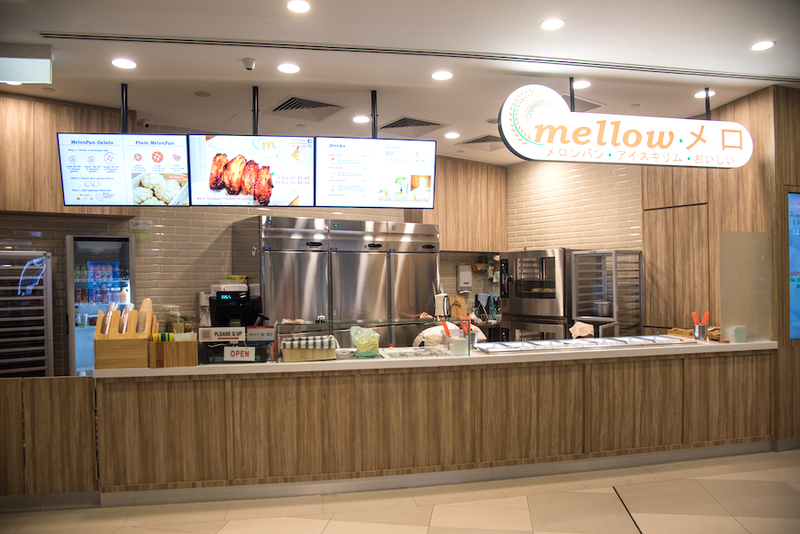 Located at the basement level of Our Tampines Hub is Singapore’s first melonpan specialty shop, offering Plain MelonPan in 2 different sizes: Small (1 for $2.60, 5 for $10) and Large (1 for $3.40, 3 for $9), MelonPan Gelato with 3 options: Small melon pan with 1 choice of flavour ($4.80), Small melon pan with 2 flavours ($6.80) and Large melon pan with 2 flavours ($7.80). 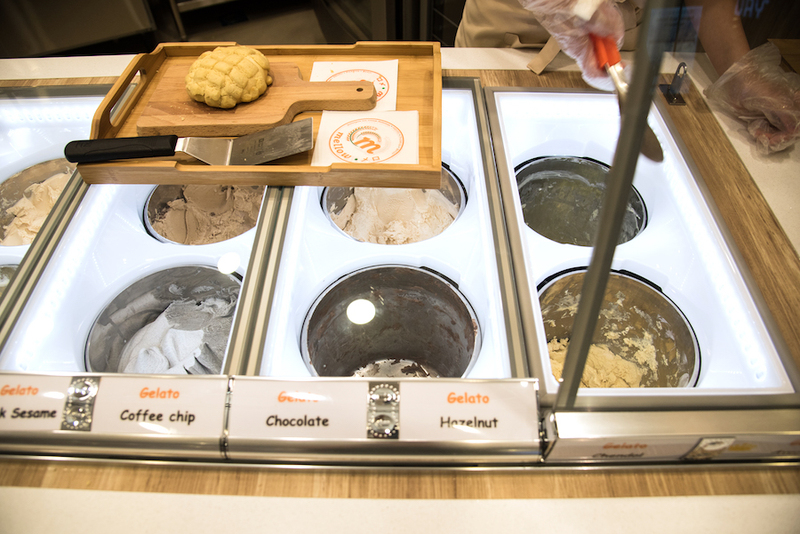 Order and payment is first made at the casher before proceeding to the right for selection of gelato flavours from their wide selection on display. 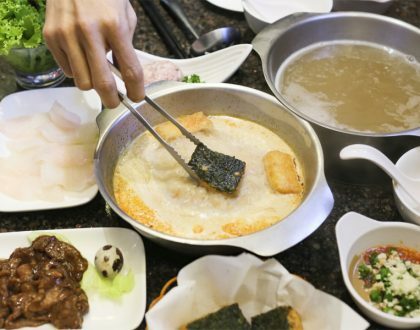 Interesting flavours include Avocado, Chendol, Honeycomb, Yuzu and D24 Durian, which are local and relatable. 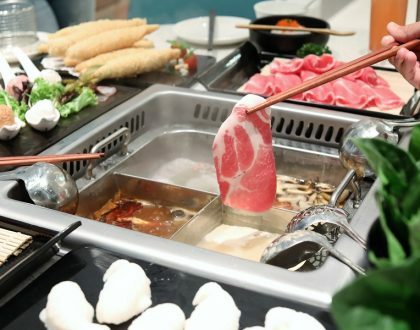 Toppings such as Sunflower seeds, Rainbow sprinkle and Peanuts are available at an additional $0.60 whereas durian toppings are priced at $2.50. 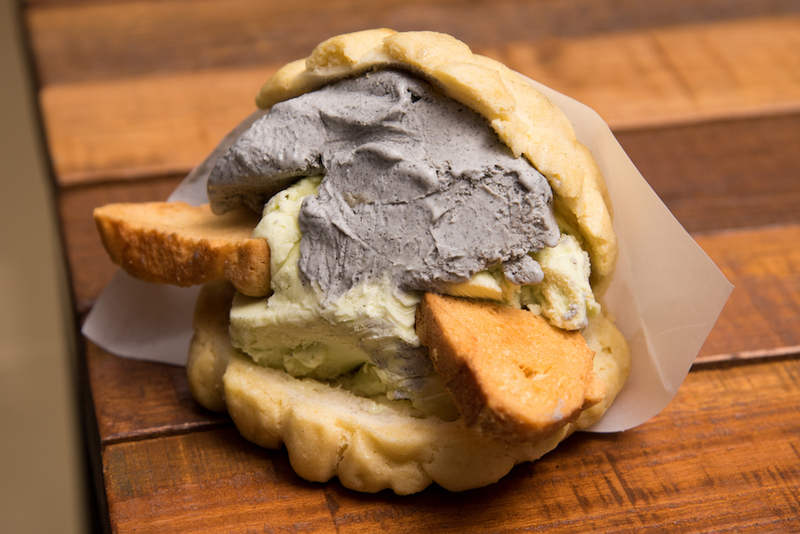 I chose the Avocado and Black Sesame Gelato to go with my Large MelonPan Gelato ($7.80) that came with 2 rusks (twice-baked bread). The rusk actually acted as a “spoon” to scoop the gelato instead of licking or biting directly into it. I made the mistake of eating my “spoon” (accidentally) and ended up in a mess while licking the gelato though. The generous amount of gelato (which tasted more like ice cream with a harder texture and more solid shape) was actually the highlight. 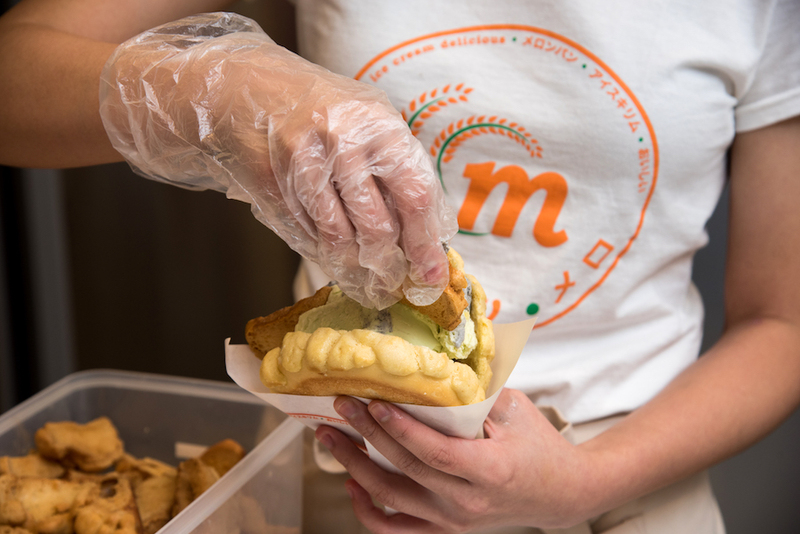 Especially the avocado flavour with a slight creaminess to offset the otherwise dense texture of the melonpan. The large melon pan was unfortunately quite cold, dry and doughy despite absorbing some of the melted gelato. The outer layer of cookie dough wasn’t sweet and crispy like the ones I had tasted elsewhere. 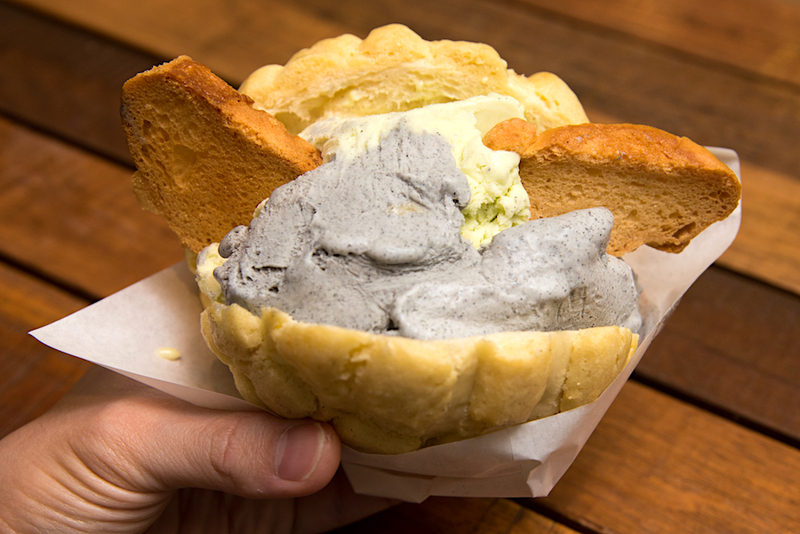 I missed the contrast in sensation of biting into crispy warm bread with cold gelato though. I decided to try out the small melon pan instead, this time round with a savoury option: Mero Teriyaki Chicken Burger ($5.80). 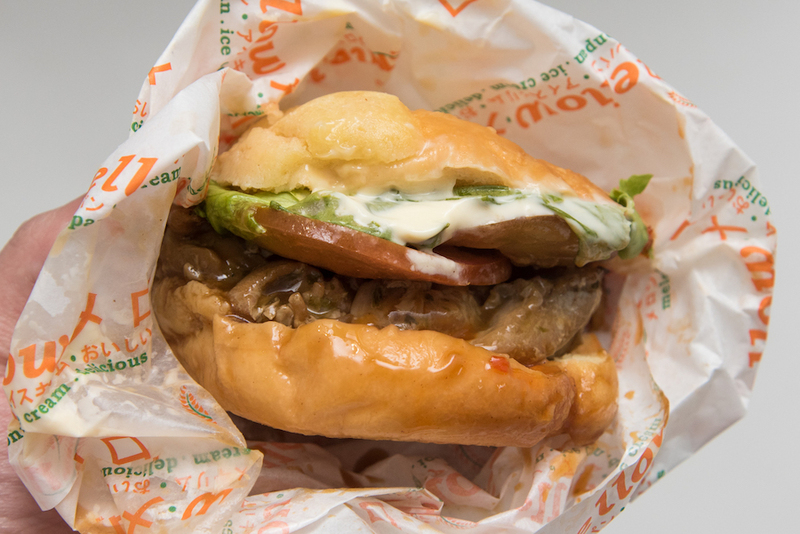 Instead of the usual burger bun, a melon pan is used to sandwich the teriyaki chicken patty and lettuce, drizzled with a choice of ketchup, chili or mustard sauce. The small melonpan was slightly better, less dense and doughy, but still lacking in the crispy and sweet cookie dough outer layer. On a side note, PAssion card members get to enjoy 15% off with a minimum spending of $15. 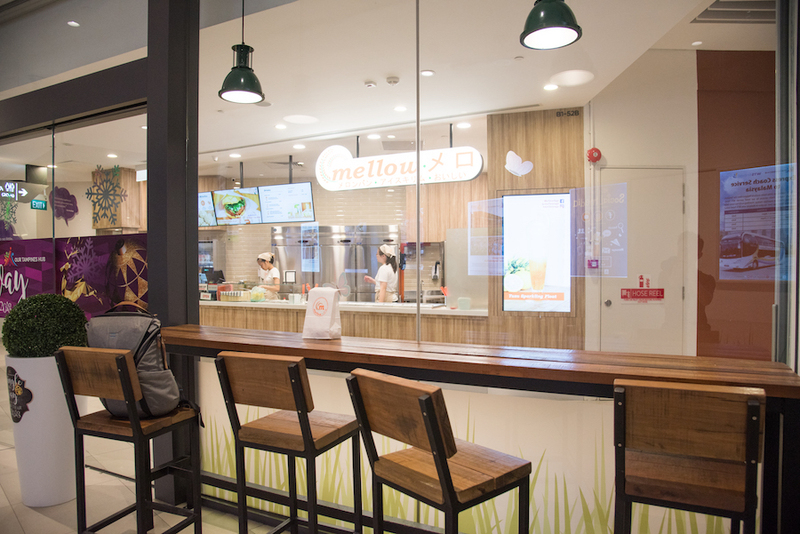 Even though it’s a take-away kiosk, there are multiple seats in the public area within the mall to munch on it before it melts and gets messy. Thank you for your review. We take your feedback seriously and are always working to improve our quality. We look forward to welcome you again!